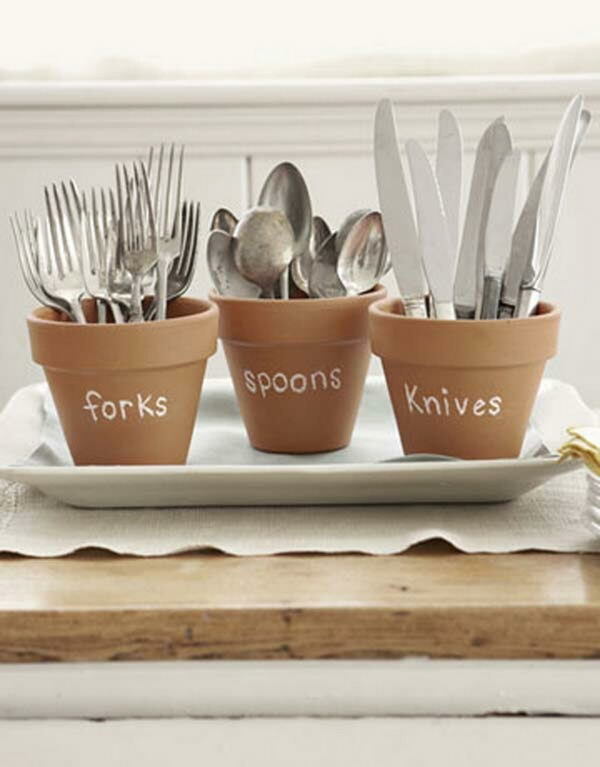 Cutlery Is a very large category of utensilis used both for prepping and eating food. 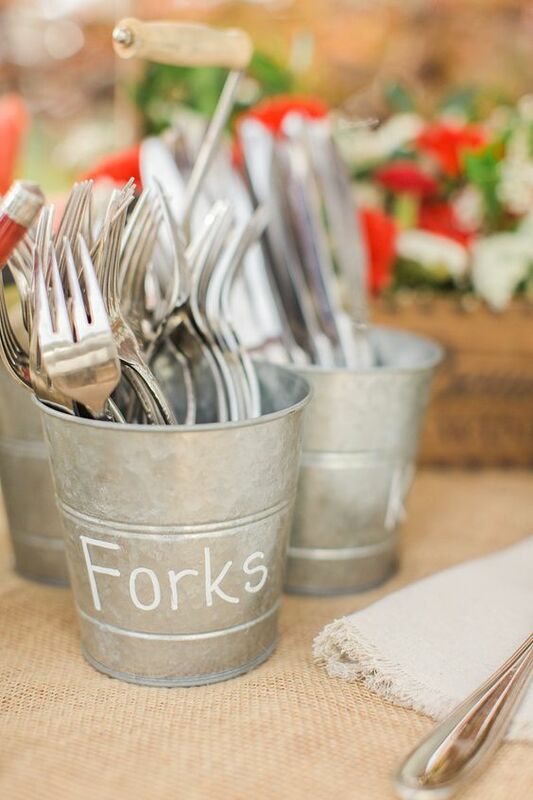 While silverware is often gorgeous and treasured, butcher knives are made for utility rather than beauty. 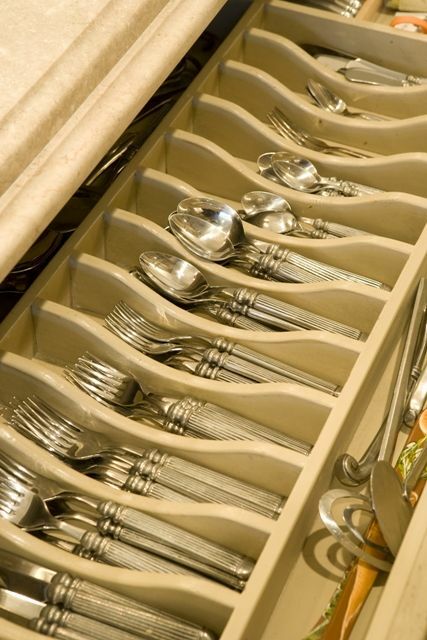 Cutlery needs to be stored both carefully as well as adequately for a number of reasons. 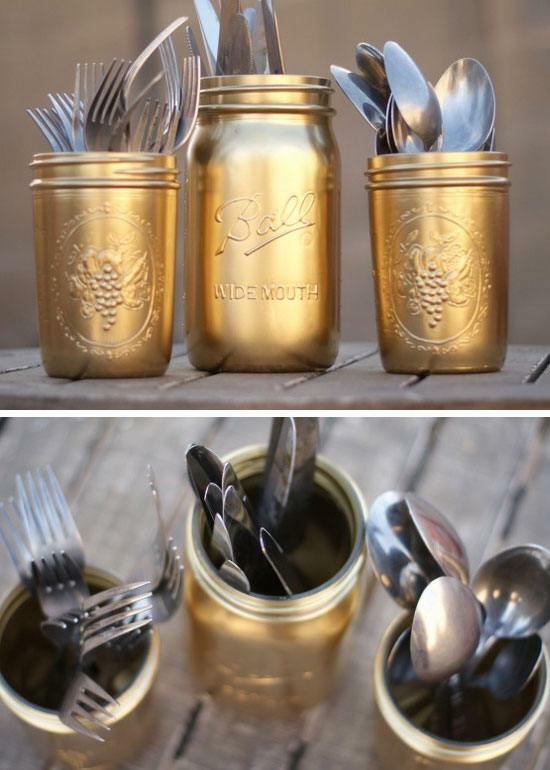 Silverware, for instance, has a tendency to tarnish. 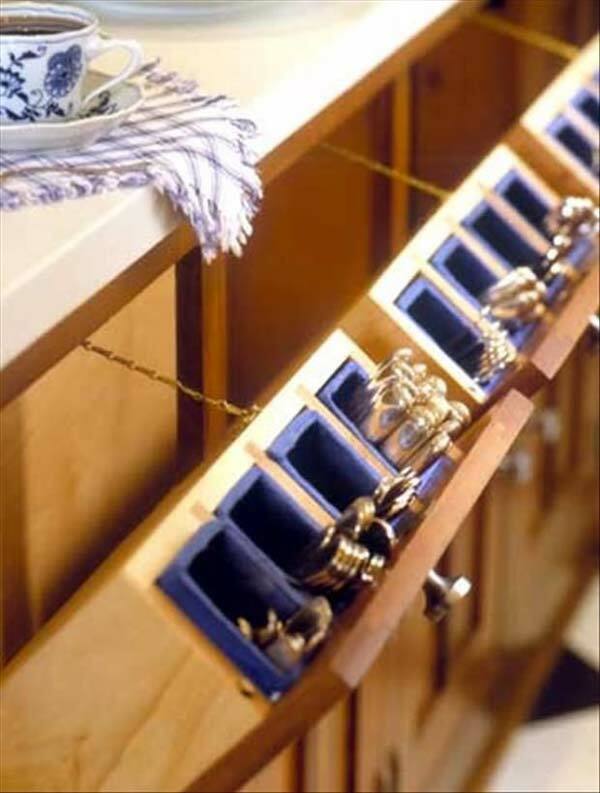 Sharp knives, on the other hand, should never be left with their blades exposed, or else they could hurt someone. 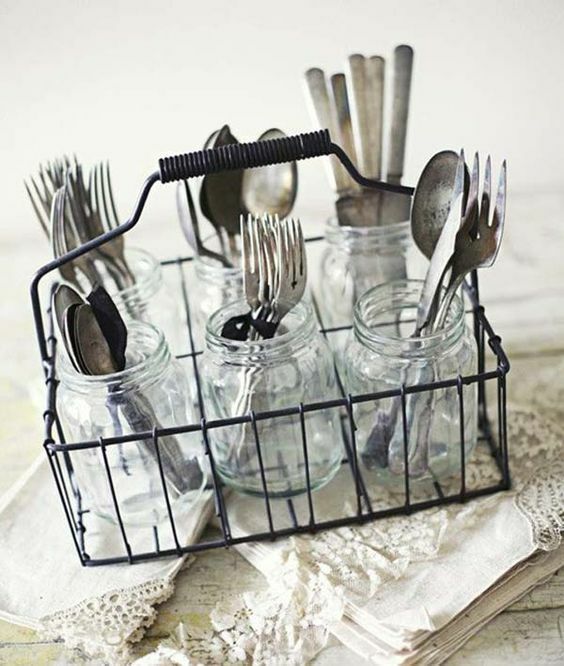 There are many ways to store cutlery, so it’s quite hard to be truly original and come up with something you have never seen before. 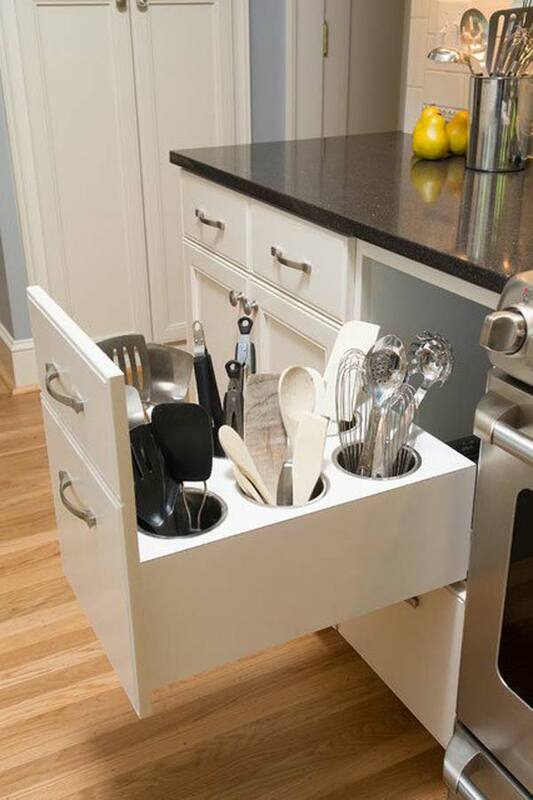 It is possible though, and that is what this article is here to prove to you. 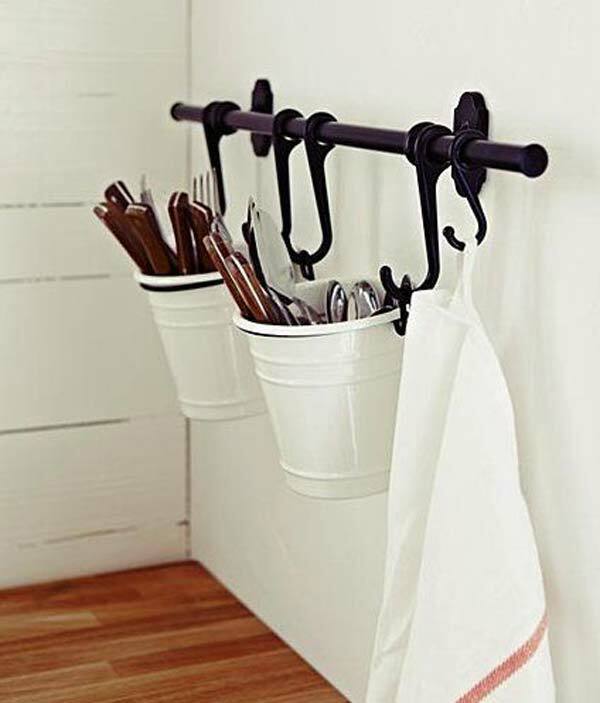 Scroll through our gallery of Creative Cutlery Storage Solutions if you want to store your utensils in a truly unique way. 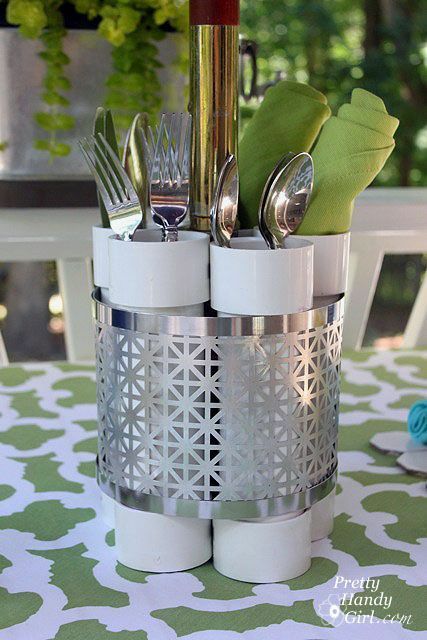 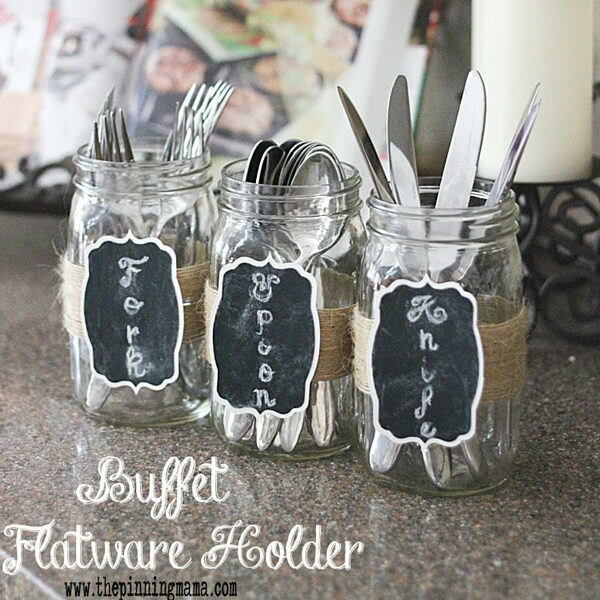 This is the ideal project for those that have little space and lots of cutlery to store. 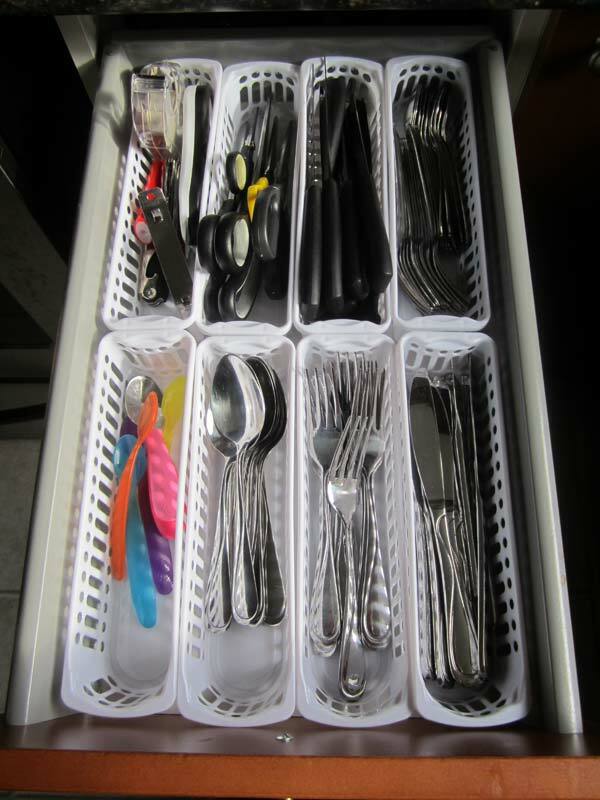 The bin keeps all the silverware stored and organized in a compact way, while also being easy to fold out so that everything is accessible when needed. 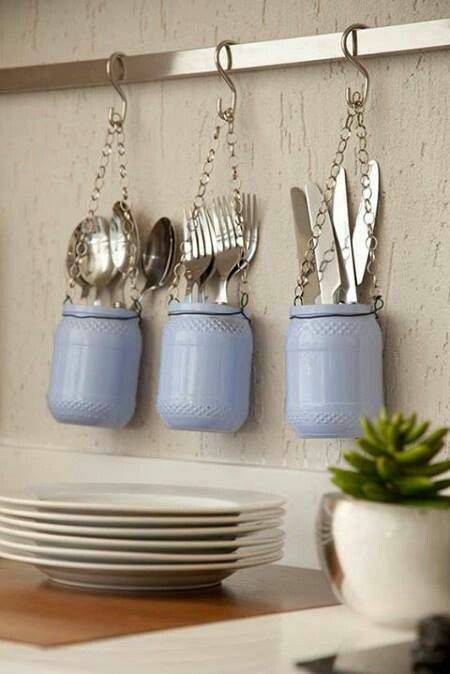 Now this is what we call a brilliant idea. 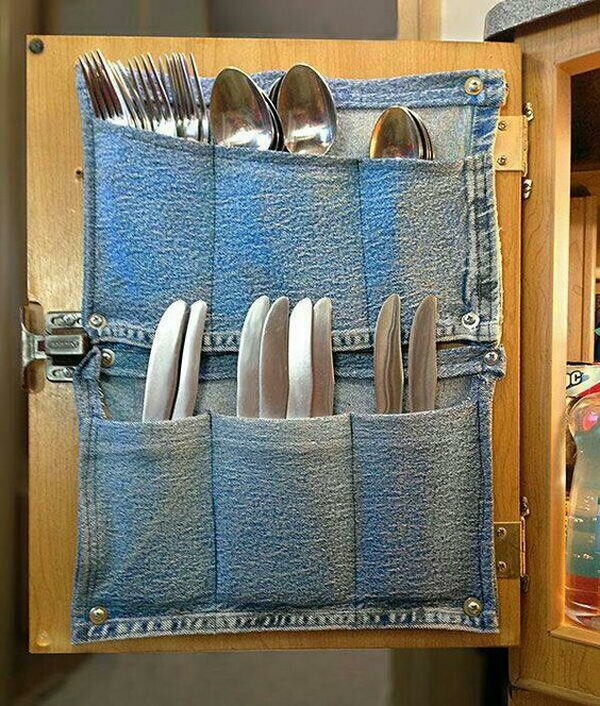 These jeans pockets were turned into little fabric pouches that help organize and separate the kitchen utensils in their drawer in a very modern way. 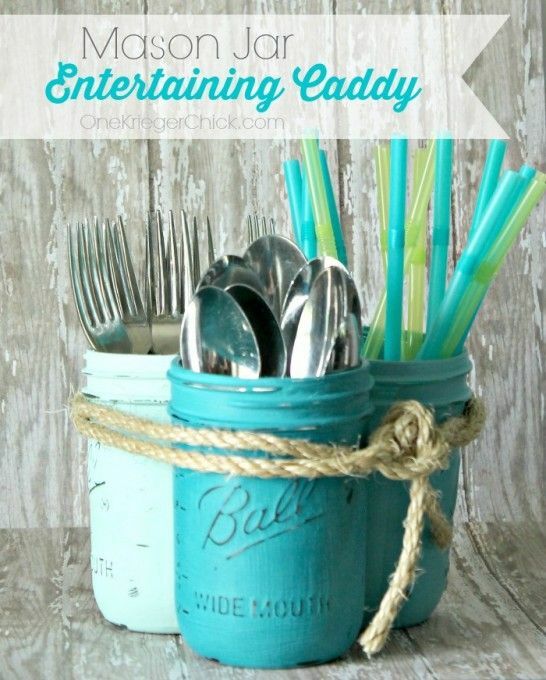 These mason jars were painted a pastel blue color and hung on the wall using chains, so they serve as some of the coolest silverware holders out there, as the metal adds an industrial vibe to an otherwise traditional project. 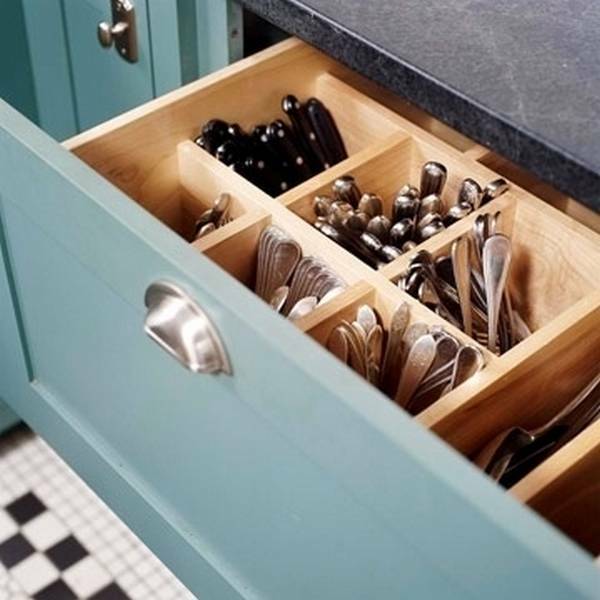 What’s so different about this silverware drawer is that it is much deeper than usual and the sections are made of identical woodem squares, where all the pieces are stored in a standing position. 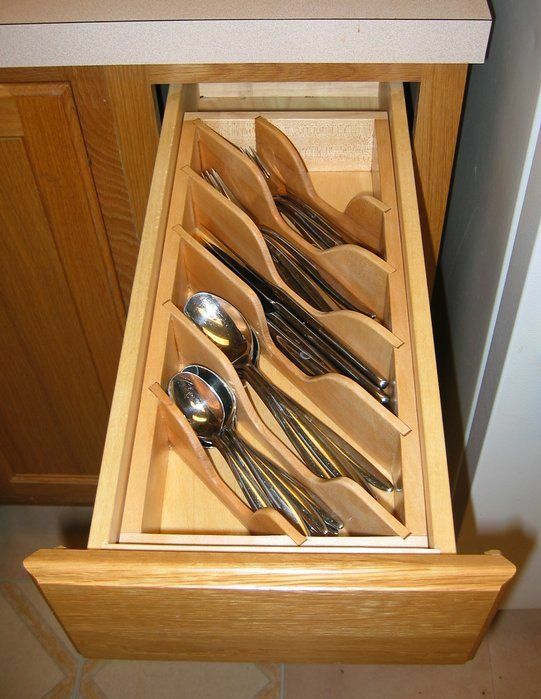 This is your traditional embedded silverware drawer, except for the dividers, which have a smooth, wavy edge. 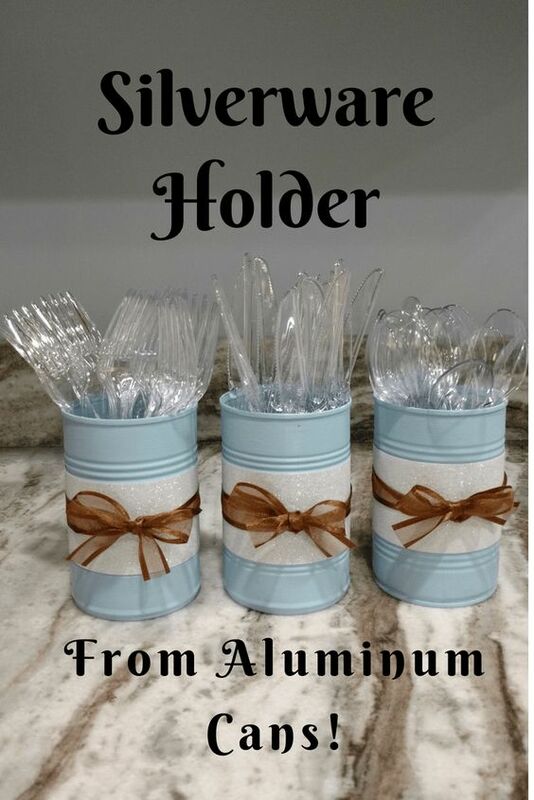 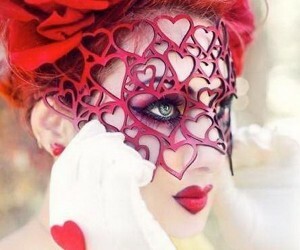 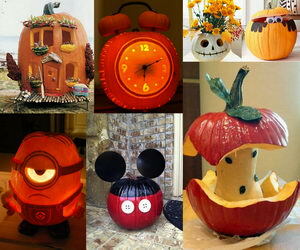 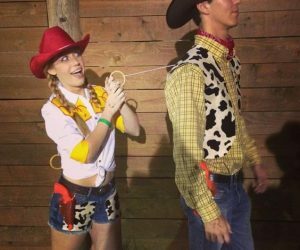 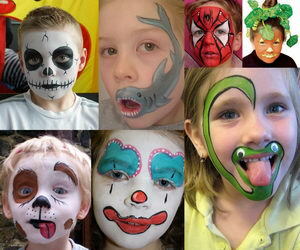 They are probably custom made, but you may be able to find or make your own too. 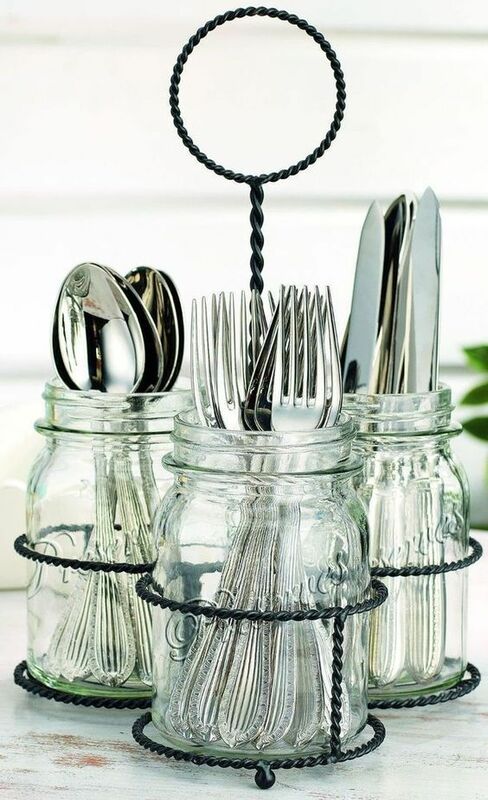 Wow, these different and unique knife, spoon, and fork holders are amazing.